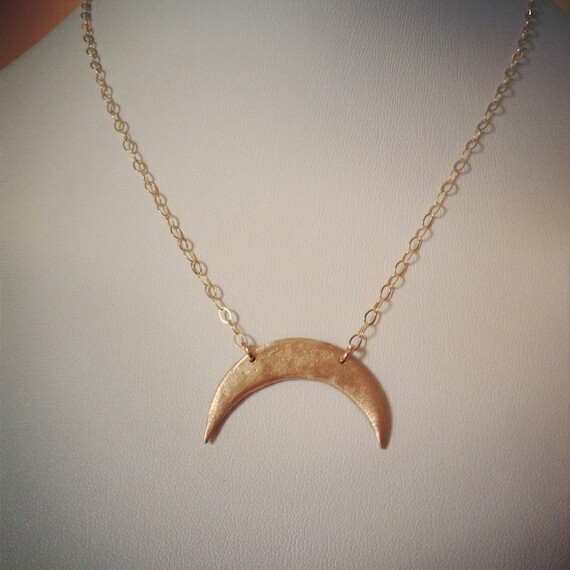 Another version of our mini moon, this necklace features the tiniest of hand-formed bronze crescent moons. 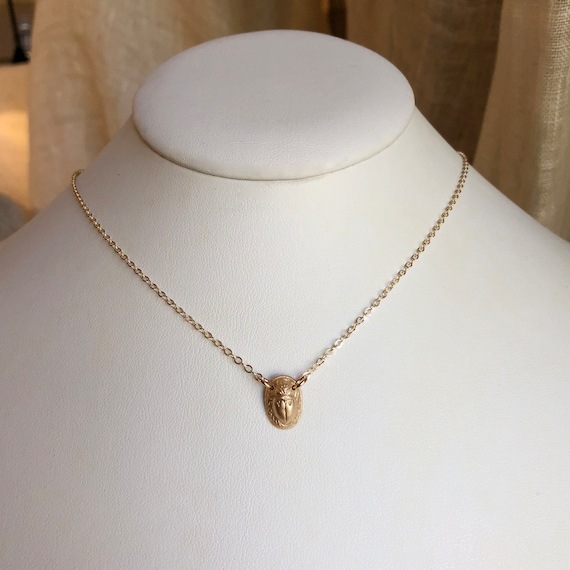 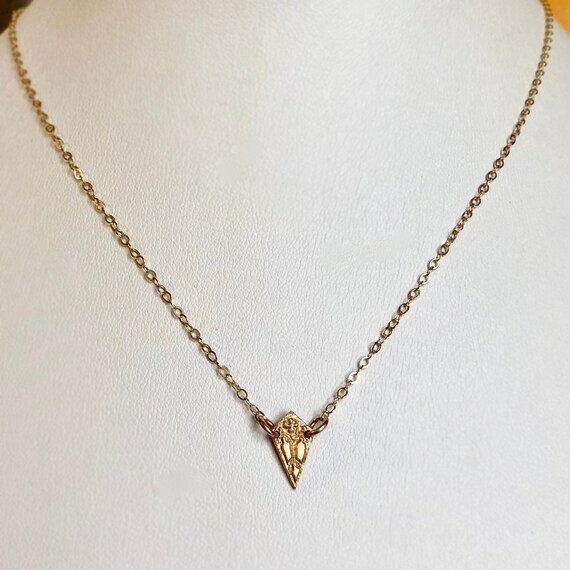 It's so delicate and dainty-a great every day piece. 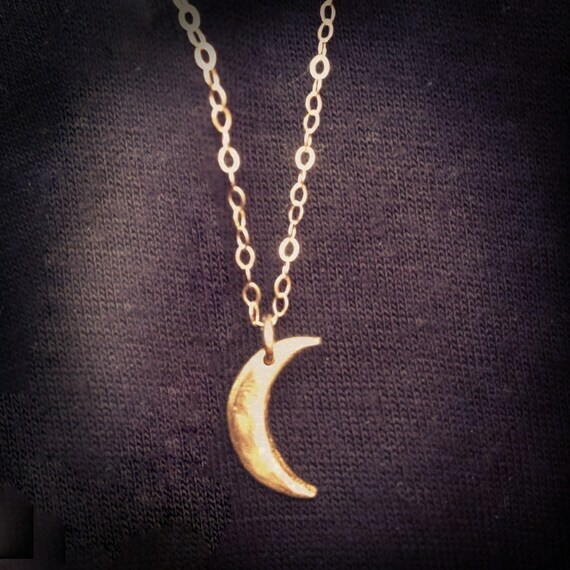 Layer it with larger pieces for a bohemian look. 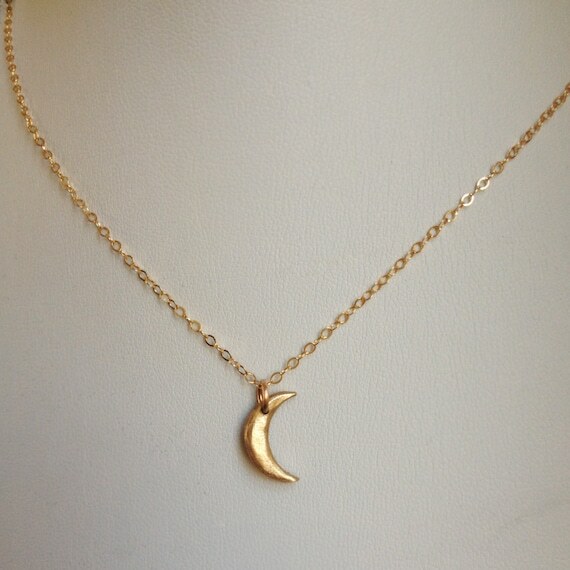 The moon measures approximately 1/2" long and the 14k gold filled chain is adjustable from 16-18".